Our little girls are all grown up, at least by American age standards. And last night they had dinner together in Portland, along with Chloe’s boyfriend, Alex. The reason for them getting together is a pretty sad one, however. One of Chloe’s close friends from college, a young man named Tyler, died tragically in a climbing accident three weeks ago. His family is from Portland and yesterday they held a special celebration of his life just outside of town. Chloe and Alex drove down to be part of it, and were able to have dinner with Ella. They then hustled back up I-5 in the dark of night to get back to Seattle. That’s a lot of driving in one day. This particular photo, which was sent to Melinda via text, touched me in a profound way. 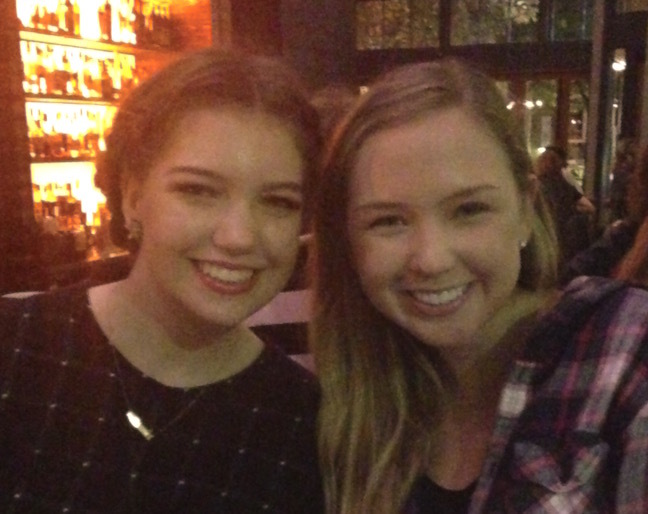 Seeing my daughters spend time together as adults is a gratifying thing. And hearing Chloe talk about how impressed she is with Ella, despite the mountain of dirty dishes in her kitchen sink, is also pretty special.